For the second year in a row, The Geelong Boathouse has taken the crown in the Entertainment Gold Awards for the Informal Dining Category. Sitting proudly in the waters of Corio Bay, The Geelong Boathouse is famous among locals for fish and chips, fresh seafood and an impressive view. Each year, the Entertainment Gold Awards recognise the best and most popular businesses, with the winners chosen by their most discerning critics, their customers. Entertainment Members throughout Geelong who purchase their Membership from a local charity or fund-raising organisation, vote for the winners in each category based on their own experiences. Owners and hospitality veterans of over 40 years, Malcolm and Czes Ralton, were thrilled when they discovered they had again won the Gold Award, “Winning once was fantastic, but to win two years in a row from customer votes is a real honour”. 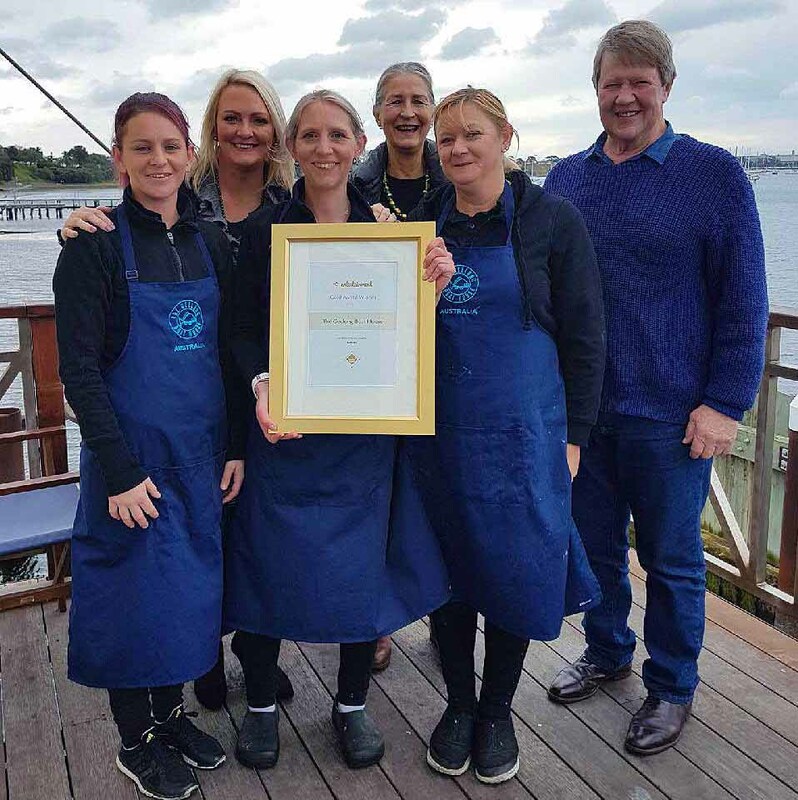 The Geelong Boat House team know quality matters. From growing their own herbs, to receiving a fresh seafood delivery from the Melbourne market six times a week, serving only best produce is what keeps the locals keep coming back. The Entertainment Memberships provide a unique partnership between business, non-profit organisations and members. Entertainment Memberships contain thousands up to 50% off and 2-for-1 offers for many of the best restaurants and cafés, as well as arts, attractions, hotels, travel, and shopping offers. While Entertainment Members enjoy exclusive valuable offers, businesses attract new customers and charities and community groups raise much needed funds.